The combination of these sensory losses results in significant difficulties in accessing information, learning, communicating and participating. Congenital deafblindness occurs when a baby is born with severe losses of both vision and hearing. Acquired deafblindness occurs later in life through accidents, disease or – the leading cause of deafblindness – aging. 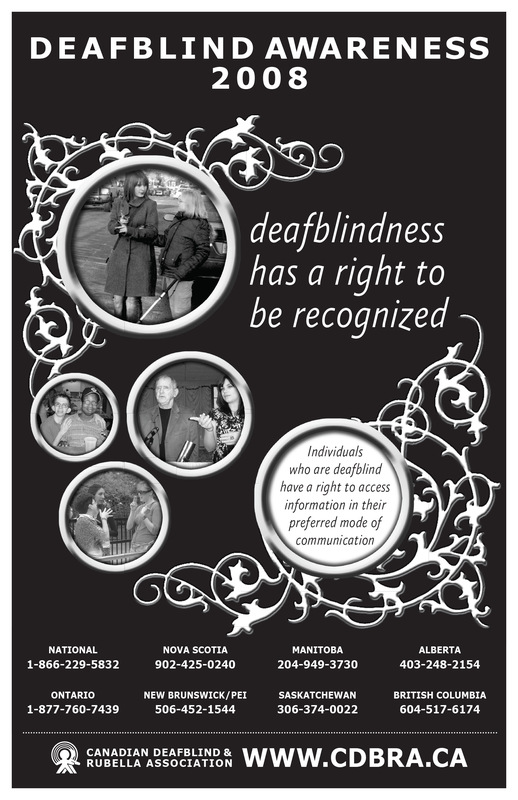 Deafblindness is a relatively low incidence disability in Canada but needs to be appropriately recognized. 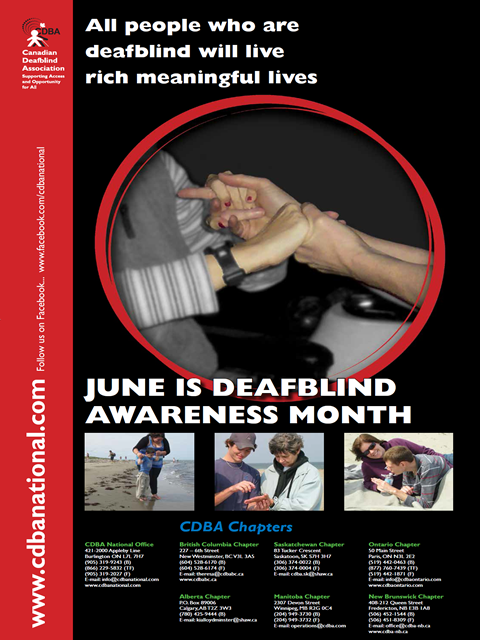 Some estimates say deafblindness can be found in approximately one of every 3,000 Canadians. Many of Canada’s congenitally deafblind individuals were born during the Rubella outbreak of the 1960s and early 1970s. Those individuals are now adults and require specific services to meet their needs. 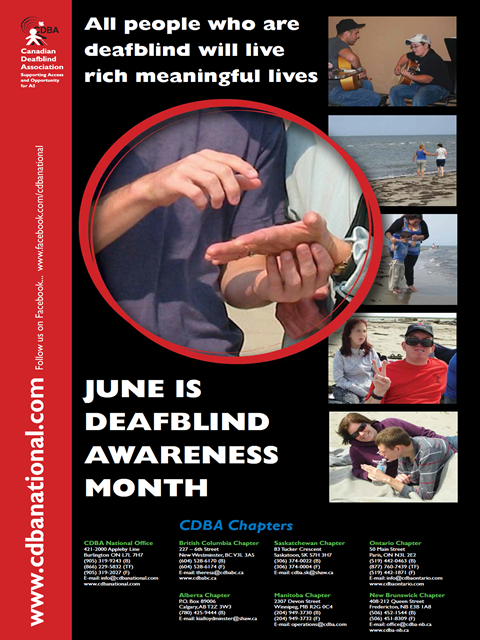 Deafblindness is a unique disability but is not recognized as distinct by the Federal Government. There are 2 types of deafblindness: congenital and acquired. Those with congenital deafblindness are born with significant losses of both vision and hearing. Those who become deafblind during the first two years of their life, prior to the development of language, are considered to have early acquired deafblindness. Those with acquired deafblindness develop or acquire this disability after the development of language through accidents, disease, genetic conditions or aging. 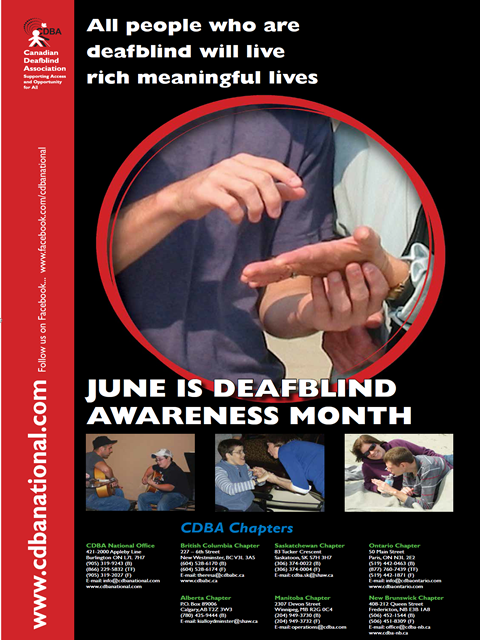 Currently about 1 in 3,000 people in Canada are deafblind. This is expected to grow as the Canadian population ages, as deafblindness is a major condition of the ageing process. This is expected to contribute significantly to the health care concerns of our country. The combination of the loss of these two sensory modalities results in significant difficulties in accessing information, learning, communicating and participating in everyday life. Individuals who are deafblind remain quite isolated in their communities. They are in desperate need of greater means of accessing information in order to lead more inclusive lives in the Canadian main stream. Canada was a signatory to the United Nations Convention on the Rights of Persons with Disabilities in 2007. To date it has not ratified this convention. Ratification by the Canadian Government would ensure that proper legislation would be developed by all levels of government to ensure that the full rights of the disabled described in the Convention would be recognized in Canada. For people who are deafblind in Canada, this would mean increased accessibility through better information technology, widespread provision of Intervention services and Intervenors. Furthermore ratifying the convention should ensure better living conditions for those who are deafblind and more inclusive opportunities for early and lifelong education. 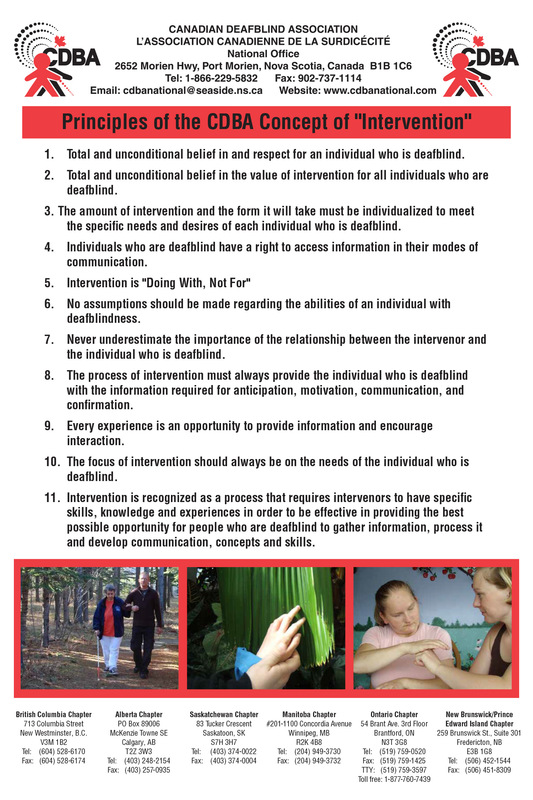 The concept of “Intervention” for persons who are deafblind now recognized internationally was in fact developed in Canada and we are the only country in the world with college programs to train Intervenors. The Canadian Deafblind Association employs over 200 Intervenors across the country to try to meet the needs of individuals who are deafblind.